Shopping for Devil May Cry Action Figures? From Capcom's Devil May Cry IV video game comes none other than Dante! 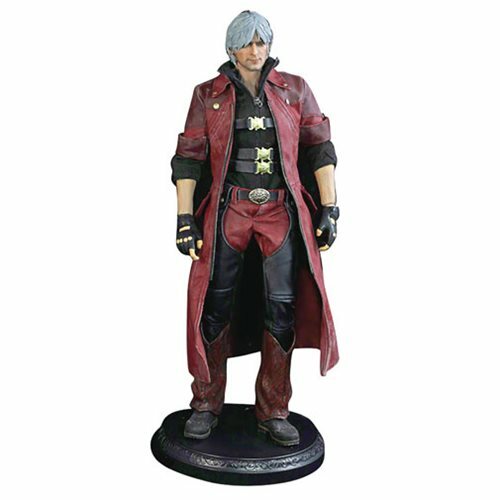 The Devil May Cry IV Dante 1:6 Scale Action Figure features a Asmus Toys' KP01A+ male body with over 32 points of articulation and stands about 11 1/2-inches tall. Dante comes with 4 pairs of interchangeable hands, an extremely detailed tailored cloth outfit including his signature red coat! He comes with an assortment of weapons including one Rebellion, one Ebony and one Ivory! A figure stand is included for easy display. Ages 15 and up.